This entry was posted in Books, Forgotten Book, Uncategorized and tagged Beyond the Void, Cary Obsborne, Forgotten book, Iroshi, Ninjas, Patti Abbott, Persea, Ronin, Samurai novels, Science fiction novels, The Glaive, Void, Zen by sanford. Bookmark the permalink. 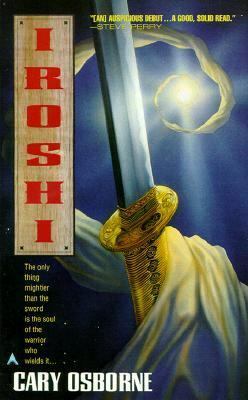 I’m doing it again this week…hmm…sf and martial arts have rarely mixed well for me, but bad work I read thirty-five years ago shouldn’t discourage me…though of course, it does. I’ll give IROSHI a try. You always come up with unusual books! Love it! I had a copy of this but never read it and now it’s one of those “it went somewhere” books. Maybe I should seek out another copy.